Employees of JSC Insurance Company KAFOLAT studied the consequences of mudflows visiting the sites and helped the victims. In particular, villages located in the mountainous regions suffered severely. Every year, natural disasters inflict huge damage to the economy and property of citizens. 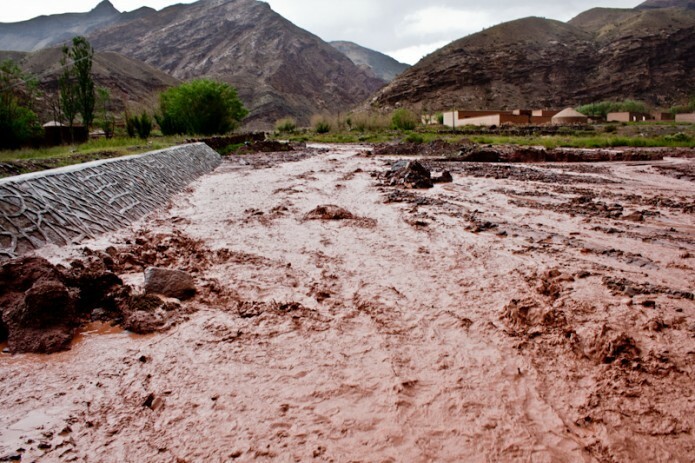 Spring of 2018 has become a real season of rains and mudflows in Uzbekistan. Such disasters were registered in Samarkand, Navoi, Surkhandarya, Kashkadarya regions and the Fergana Valley damaging agriculture sector severely. As a result of continuous heavy rains, the same natural phenomenon occurred in village of Uishun, Kashkadarya region on May 18, at about 10 pm. There are 1214 farms in the village; natural disasters affected about 130 of them. On May 22, 25 victims contacted the company, whose appeals were immediately reviewed and insurance claims paid in the amount of 25.64 million soums. Families who had insured their property received insurance compensation, thereby protecting their property interests. In addition, the company provided financial assistance to families affected by natural phenomena. So far, Kafolat in collaboration with the Ministry for Emergency Situations have conducted 13211 explanatory works, seminars and meetings with the population, enterprises and organizations for their best interest.